Based on over 40 years’ experience and expertise in this field, StoCretec’s full range of systems is available for anything, from small concrete patch repairs, through to large-scale, sprayed mortar projects and high-performance industrial floor-coating systems. 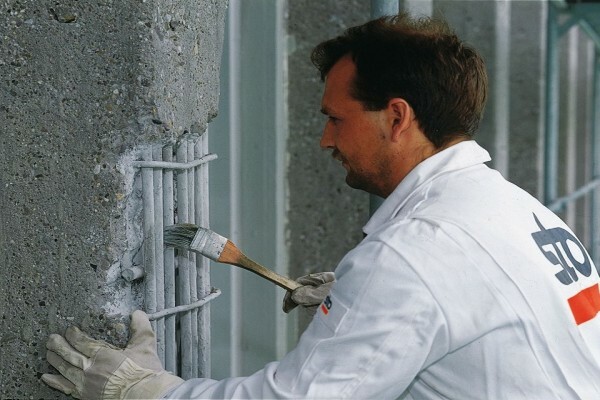 The StoCretec concrete repair systems can be configured to suit the specific requirements of any type of application, ranging from building façades, bridges and tunnels, through to wastewater plants, power stations and industrial buildings. The product range includes StoCrete Reno, Reno HD and Reno XA systems, offering strength, durability and security in concrete restoration. A range of floor repair mortars and screeds are also available, together with the StoCryl range of coatings and hydrophobic impregnations. All StoCretec products conform to the EN1504 standard. Product highlights include StoCrete SM and SM P, which are used for small, simple concrete repairs. These mortars offer a ‘system in a bag’, and cover the functions of corrosion protection, bonding coat, repair mortar and fairing coat in a single product, being ready to receive a coating just 4 hours after application. The RM F mortar offers the same benefits, but is intended for use in flooring applications. Restoration of large areas is also well catered for, with a range of dry spray mortars which use innovative material compositions to reduce dust formation and enhance rebound characteristics. These products are also class A1, in accordance with EN13501, and so can be used to enhance fire protection. StoCretec is expected to rapidly establish itself as the supplier of choice for concrete restoration systems in the UK, both in the minds of forward-thinking specifiers and the concrete repair specialist market. Sto is well-known in the U.K. for high-quality insulated façade systems and renders, and it has been supplying leading edge façade solutions to the UK building industry for over 60 years from its technical and warehouse facilities in the North and South of England. Combined with the StoCretec offer, the company now offers a unique, single-source of supply for most building renovation projects. This is particularly beneficial for specifiers and contractors seeking good value, well designed, quality solutions, with all components guaranteed to work together and backed by warranties, from a single company.